I have always been fascinated by history. I like to know how things were—before we messed with them, originally, in the past. 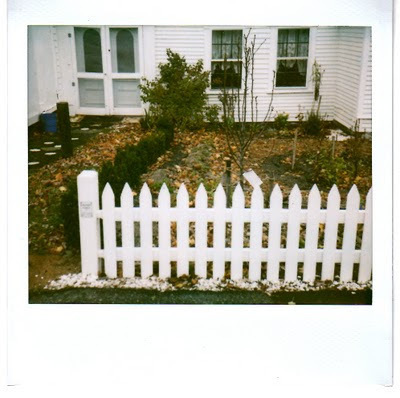 So Deirdre Portnoy had my immediate attention when I found out she was ripping up the front lawn at the Wellfleet Historical Society to put in a 19th century cottage garden in place of the weeds and crabgrass. Cottage gardens are the old English kind—that distinct style of dense plantings hedged with boxwoods and lined with picket fences and brick pathways in a way that is at once homely, graceful, and charming. Portnoy can't be sure that's what was on the lawn of the old 1860s home that houses the historical society—there are very few pictures of Wellfleet front yards from that period, and even in the ones we do have, it's difficult to make out the varieties and organization of the plants—but she knows that stylized cottage gardens were incredibly popular at the time. In a town like Wellfleet—coastal, busy, prosperous—it's as likely a guess as any. And so Portnoy ripped up the lawn—pulled out the crabgrass and started turning earth. Locals donated a granite step, and bricks and help to put in a walkway that leads down from the sidewalk to the old millstone that steps up to the front door. Portnoy lined the front with a picket fence, the sides with English boxwoods, and started filling in the middle with flowers and fruits and culinary and medicinal herbs. She planted all sorts of things—too many to list—but I'll give you the highlights. There's a Seckel pear tree—short, semi-dwarfed, with small, sweet fruit that's good for canning. For medicinals there's bee balm and rue and echinachea, and a particular kind of yarrow known as Achillea millefolium. For cooking herbs there are rosemary and thyme and chives and sage, for fruits a whole bank of strawberries, and plans for heirloom tomatoes come spring. There are callendula flowers and nasturtiums and a beautiful Cape Cod climbing rose twining around the fence. The biggest surprise, Portnoy says, was how many varieties of herbs and flowers she found from the cottage period are still in use today. Some plants she had to dig around for—it's hard to find specific historic varieties these days, now that many tags don't carry the second Latin name—but between the garden stores and donations, she managed to get the yard pretty well filled in. Next spring, she's hoping to make an educational brochure with the historic uses and plant names, and she left room for walking in curved, ampitheater-style pathways. If you have a chance, go check it out. It's still a work in progress, and the weather isn't doing much for its looks, but the layout of it, the look, is very inspiring. And just in case you get really inspired, below I've made a list of the books Portnoy used in the project, to help you with your own come spring. This post IS inspiring, as is your blog. We move to Wellfleet in a few wks, and your blog is the best preview of all I am looking foward to. The local food movement has really taken off since we last lived there. thank you jhope. i find your work inspiring as well...it's so important to put our kids in clothes that are both safe and adorable. very excited to hear we'll have you as a neighbor soon! i think you'll find it isn't hard to get inspired in a place like this.